Traditionally, walnut has always been used to resemble the looks of the brain. Yes, indeed we are talking about our most sophisticated organ. The resemblance with a walnut is a structural one, because just like the brain, kernel is divided into two parts, left and right hemisphere. The left hemisphere is for logic, rationale and analytics, while its counterpart on the right is the one responsible for fantasy, overview and synthesis. In reality, it is not really a synchronization, a concept that leads to the idea of rhythm. 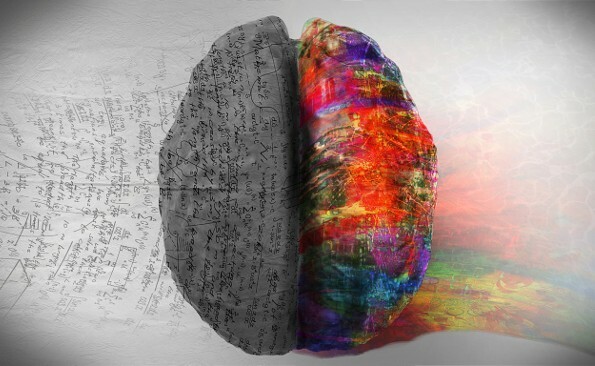 It is instead a condition in which the corpus callosum, connects the two hemispheres, accentuates its own activity and improves the interaction of those neurons that belong to different hemispheres but perform the same function. This already occurs in the movements of legs and arms, because the right hemisphere controls the left half of the body and vice versa, and it is very easy to understand how important it is to coordinate all the neurons involved. Better mental performance, clearer worldview, creative leaps, a feeling of pleasure and wellbeing. These are the consequences of coherent brainwaves, rather than “not synchronized”. If we hear two different sounds whose frequency is lower than 1.500 Hz and whose difference is lower than 30 Hz, our brain is not able to perceive them separately. Therefore, our mind perceives one single sound which is equal to the difference between the two. For instance: if we hear the C note at 256 Hz with one ear and simultaneously the G note at 384 Hz with the other, our brain will “hear” a note that vibrates at a 128 Hz. According to the binaural beats theory, with this listening technique, it is possible to lower brainwaves and promote synchronization. Binaural beats in MP3 files improve life and have been available on the net for years. When there is predominance in one hemisphere over the other, sleeping problems may arise. However, with the induction of delta brainwaves, sleep would promote synchronization. Once again, a good mattress becomes a necessary element to live better.